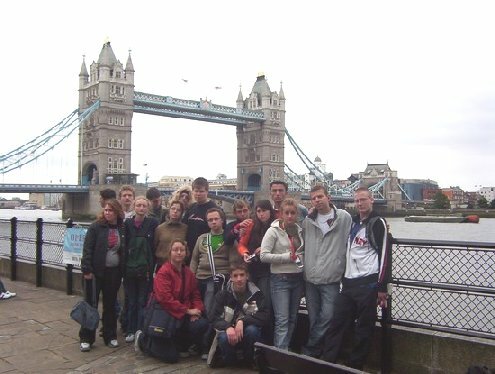 Die Klassen 8, 9 und 10 haben sich im Juni 2005 über den Kanal gewagt und England besucht. The bus arrived at 8.30 am. The journey took about 8 hours. At about 5 o’clock we were at the port of Calais. Then we went from Calais to Dover by ferry. The journey took about one hour. At about 6 o’clock we were in Dover. All vehicles drove on the left side of the road. One hour later we were in Herne Bay. All my friends were happy and said “endlich in England”. The families came and my friends went with them. Last were Konstantin and me, we had to walk to our family. The families were all great and nice. At about 8.10 am we had to go to the car park. We went to Canterbury. There was a very old cathedral which has a lot of history. 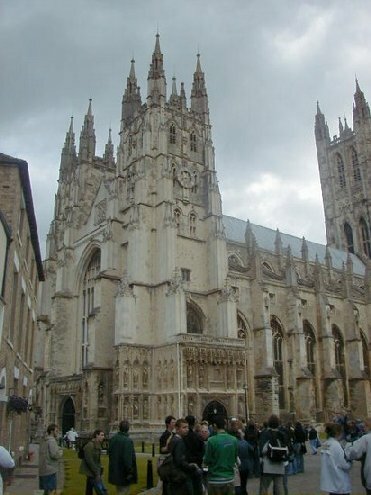 A woman told us some stories that had happened in Canterbury. The stories were exciting. We took some photos, of course. Later we went to Leeds Castle – “the loveliest castle in the world”. The garden of the castle was very big and there were some attractions. We stayed there for about three hours. At about 6.20 pm we went to the families again. Me and some of my friends went to the beach and talked about our day (in German, of course). London day. After two hours we were in London. We went to the station and bought tickets for the train and underground, then we went to the inner city by train. 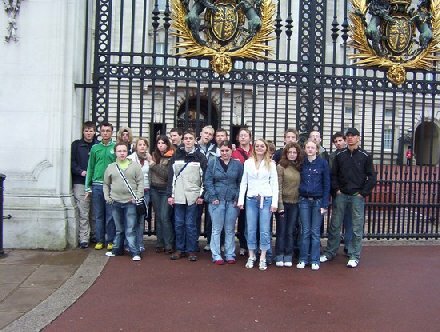 We walked through the city and later we were at Buckingham Palace where the Queen lives. 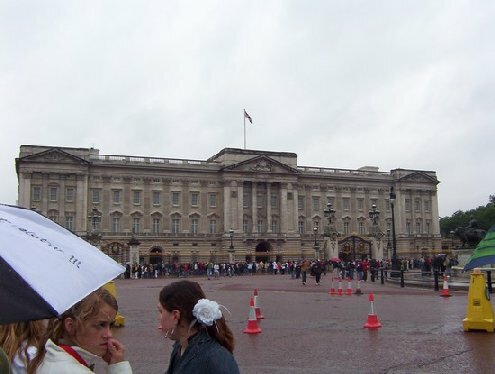 There was a lot of police, but we didn’t see the Changing of the Guards because it was raining. Later we went to the inner city. There was a lot of traffic because people had to go to their jobs. In the inner city there was a big LCD-TV. Later we went to the bus and went to Herne Bay again. We went to London again because it’s a big town. We didn’t have enough time for other things. 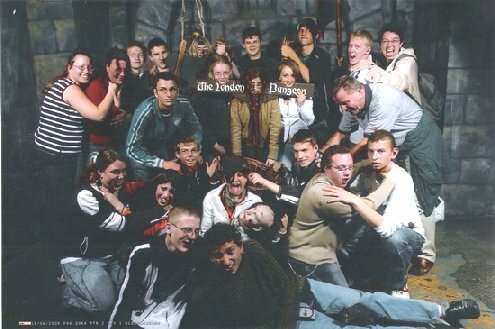 We were at the London Dungeon. It’s very exciting. 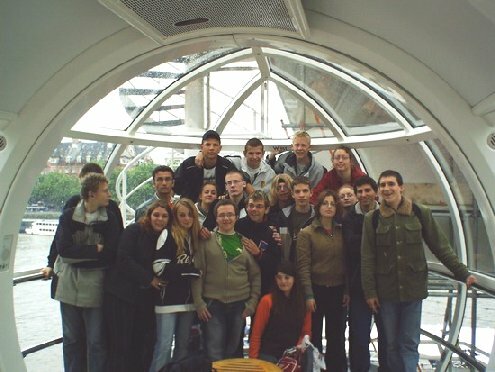 Later we went to to the Tower Bridge and after that we went to the London Eye. 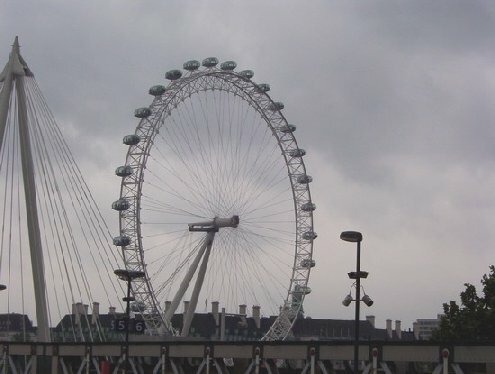 Our teachers bought tickets for the London Eye which is about 137 metres high. We went in and saw the big town from above. It only took 30 minutes. 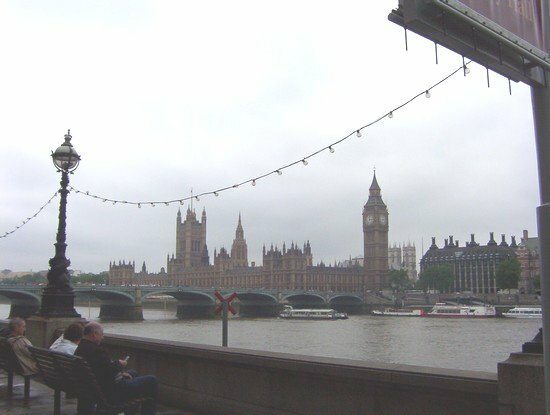 Later we saw Big Ben and the Houses of Parliament. Then we we went to the inner city on an English bus. Later we went to Chinatown and then we had gto go to Herne Bay again. The pupils and teachers packed their bags. Arrival day. We went to Germany. Everybody was happy. At about 9 pm we were in Büren and our parents came. We went home after a nice week in England (with nice weather). 2005 / written by Mergim Z.